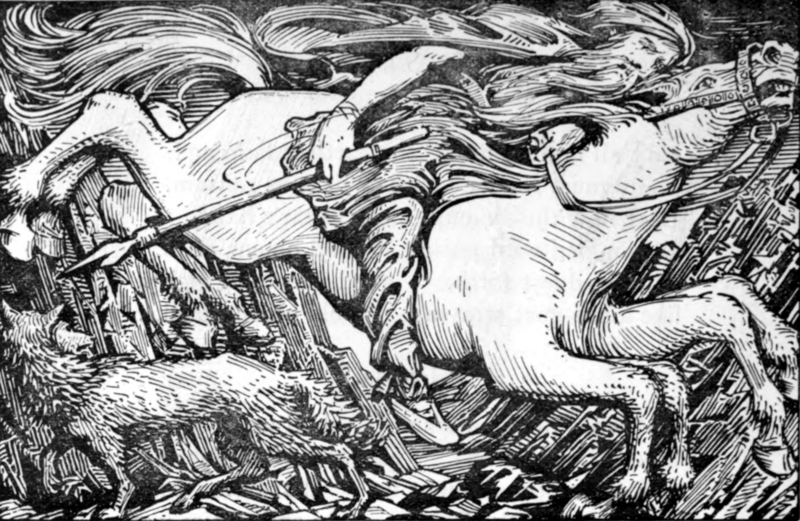 “Odin rides to Helheim,” illustration by WG Collingwood (1908). Baldr’s dreams, or Vegtamskviða, is one of the poems about the Norse gods in the Elder Edda. It is dark but beautiful, and one of the shortest of the Eddic poems. Balder has had nightmares and Odin rides to Helheim (“hell”) to find out whom Helheim’s Mistress Hel is expecting. It turns out that she has set the table for Odin’s son Balder. 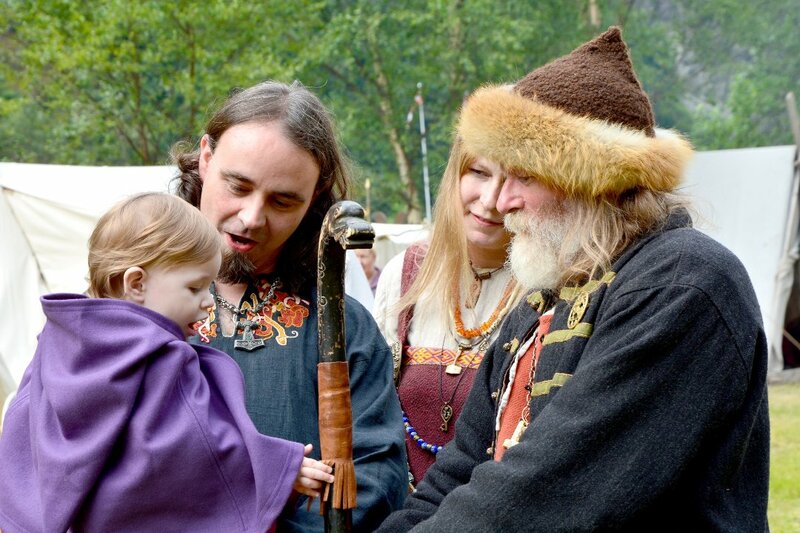 The völva tells about Balder’s fate and that he will die, killed by his brother Hod. The jotun woman Rind will give birth to an avenger, his name is Vale. Finally, Odin asks her a question that reveals his identity and the völva tells him to ride home. Here you will find the poem in Old Norse. For English text, push the settings button on the video and choose subtitle. Where can I find the audio version of this song? (ie. artist and album). And others like it. It’s beautiful.